Footlights - MHT's Saturday classes! A New Session of Footlights Begins April 6! Register Online! Or, call the Box Office at 270.444.6828! MHT’s Saturday drama sessions for preschool through grade 12 will have a new session of classes starting April 6 and continuing every Saturday through May 18. Tuition is just $45 - scholarships are available! Rehearsal & performance of the musical “The Case of the Missing Paragraph”! Enrollment is limited - advance registration strongly encouraged Performances in Studio Theatre on May 18 & 19 at 2:30! The Story: It was a sweltering afternoon when she knocked on the door. She was looking for a detective. Someone to find her paragraph. It was missing. No, the dog had not eaten it. She’d come to the right place: The Expository Detective Agency. It was the beginning of a beautiful friendship. This hilarious spoof of the hard-boiled detective genre is tons of fun while teaching such composition topics as choosing a topic, research, essay structure and more! April Cochran will direct. Attendance is mandatory for each session - exception is April 6 with advance notice. Team building, problem solving, improving self-confidence and fostering creativity and trust are all part of this high energy class. In addition to building a theatre games foundation, students will begin exploring comedy improvisation! Activities are challenging, rewarding and most of all - filled with laughter. April Cochran will lead the class. Regular attendance is encouraged but not mandatory. Join us for a special spring-themed session for preschool ages! 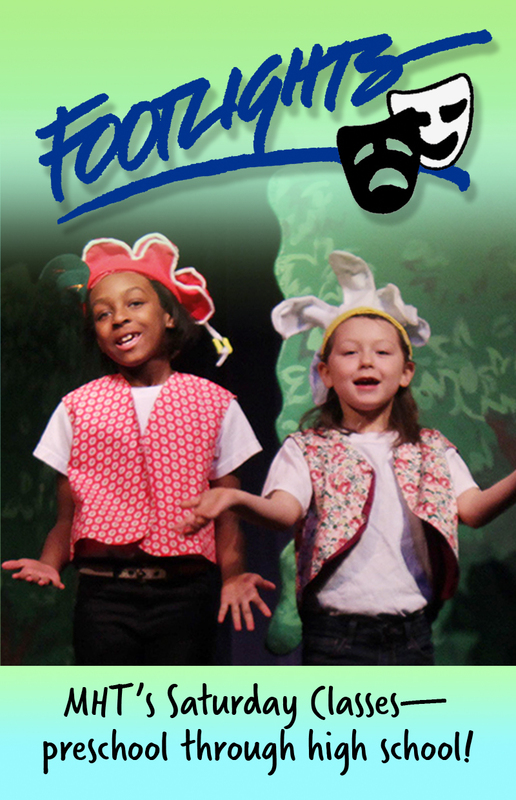 Students will play games, act out stories, sing songs and learn about the magic of spring! Ashlee Soldo will lead the class. Regular attendance is encouraged but not mandatory. We’re back with a final session in comedy improv for the year! Students will play improv games that will improve both their skills and their confidence. Tons of fun and laughter ahead! Ashlee Soldo will lead the class. Regular attendance is encouraged but not mandatory. Rehearse scenes from some of the most celebrated plays of our time in our final footlights session for the year! Work in depth on acting skills using methods from renowned practitioners such as Meisner, Stanislavsky, and Laban. Ashlee Soldo will lead the class. Regular attendance is strongly encouraged. Copyright © 2019, Market House Theatre.